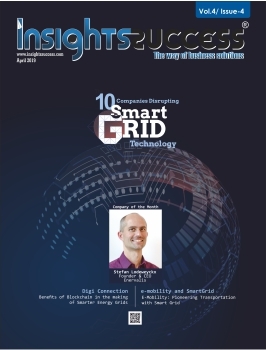 In an interview with Insights Success, the CEO and Founder of SureCall, Hongtao Zhan, shares his key insights on various aspects of the company and how it contributes towards the industry by maintaining the quality of all those aspects. He also discusses SureCall’s accomplishments and future initiatives. Give a brief overview of SureCall, its solutions and services. SureCall is the multi-patented industry leader in cell phone signal boosters, combining high-quality technology with innovative designs to create award-winning boosters that dramatically improve cell service for better 2G, 3G, 4G LTE, and 5G cell services inside homes, cars and businesses. How do you diversify Unified communication services so that it will benefit your customers? Cell phone carriers use towers to send signal to your phone but these towers don’t reach all locations. There are so many factors such as metal car frames, structural walls, hills, mountains, trees, and other factors that block the signals that are trying to reach your phone. Boosters allow you to capture that cell phone signal, maybe outside of your house, and boost it in a new location, such as inside of your house, to give you a strong wireless signal that won’t drop calls. When Tiananmen Square happened in 1989 I was a twenty-year- old college student and one of the demonstrators there. What happened that day led me to look at things very differently and guided me toward making decisions that shaped my future toward an education in the US and, eventually, becoming an innovator and entrepreneur. This comes through in the business as well because we are so motivated and passionate about inventing new products that promote a better life. Now, we are still employee owned and funded, we just celebrated our third year on the Inc. 5000 and the best days are ahead of us. It is amazing. How does SureCall contribute towards making the industry better? Good question. There are a couple of ingredients. If you are talking about manufacturing you have to start with high-quality components. We are driven by customer satisfaction, not by profits, and that means we do not compromise quality because we want to offer the signal boosters that will be best for our customers. That is deeply rooted in the hearts of every employee, whether they are producing the actual products, providing customer service, sales or marketing. As a manufacturer, you need a system where everyone shares company’s mission. We have a championship team that understands this and executes it every day. If you have high-quality people then your products can be the best. Where does SureCall see itself in the long run and/or what are its future goals? In the long run, we want to do more of what we’re doing today – making great products which satisfy customers and result in healthy growth. Our passion for innovation will naturally take us into 5G, which we are already engineering to solve, and we are extremely optimistic about what the future holds for all of us here at SureCall. Considering the rising number of Unified communication solution providers, how does SureCall stand out from its competitors? SureCall has remained completely self-funded and employee owned. Going against the grain by resisting VC-funding has given us more control over the technology and the direction of the company. We are a team of curious minds who have no limits on our ability to take care of our customers, partners, and employees, and we are often first to generate new technology, like the first 5G signal booster, that meets the needs of the changing market. There are so many things that differentiate our products from the other options on the market. Hongtao Zhan is the founder and CEO of SureCall. Spending more than twenty-years as a lead engineer in advanced technologies, Zhan has established himself as a pioneer whose innovative designs are built to connect people through reliable cellular and internet signals. Zhan ushered in the adoption of cellular, thereby delivering in-building connectivity for mobile device. Filing his first patent in 2013 for the five-band amplifier, Zhan now holds six U.S. patents under the company’s name and has built a business comprised of more than 96 employees that recently celebrated their third year on the Inc. 5000 List of Fastest Growing Private Companies.